Polytunnels and Four-Season Food Production Jul 13, 2018 It is better to have loved and lost, than never to have loved at all. So, the Tennyson saying goes. I am not sure if he was thinking of greenhouses when he wrot..
Fruit Production - Warm Climate course online. Expand you understanding of tropical and sub tropical fruit growing. The course includes sections on Avocados, Pineapples, Macadamias, Paw Paws and Cashews. This course has been designed to be especially applicable to tropical and sub-tropical conditions. 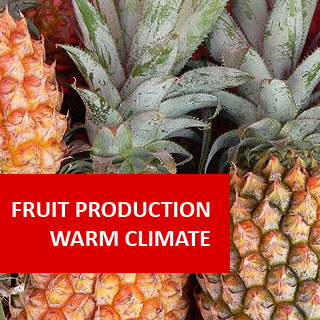 A good example of a country where fruit production in warm climates is important to a developing country for its economy, in feeding its population and for exporting around the world, is Ecuador in South America. It produces banana, pineapple, cacao, coconut, mango, watermelon, and papaya, plus many more exotic fruits. Pitahaya (see photo) for example, belonging to the dragon-fruit family, is very different to other fruit grown in tropical and sub tropical areas. It is yellow on the outside and white inside. Its flesh is sweet and the combination of tiny seeds embedded in a high-fibre pulp (resembling frog-spawn) is thought to help clean the colon, according to Ecuadorians living in Guayaquil especially. When driving between Guayaquil and the coast, or costa as it is in Spanish, fruit and other produce is easily available from street vendors at lay-bys and road tolls, as well as in any towns on the way. A special favourite with motorists is coconut, which is hacked open and a straw inserted, to create a refreshing drink for the trip. The flesh can then be taken home to be toasted and enjoyed later. In the countryside on the border of two of Ecuador's provinces: Los Rios and Cotopaxi, cacao (cocoa seed), bananas and other fruits are grown in plantations and on the land of ordinary Ecuadorian people, who literally shop in each others gardens for fresh produce. In this excellent course, you will learn how to grow, nurture and market different warm weather fruits. It is ideal for anyone having or wanting to buy land in warmer climates, both as a small farmer or a plantation owner.It is also a credible program for charities working in developing countries, helping people to be self-sufficient in providing food for their families. This is because the course is designed by industry relevant professionals, to be applicable to the learner's own climatic and geographical area anywhere in the world. Identify different types of fruit crops, which can be successfully grown in a specific region. Explain the nature of the fruit industry in a specific region. Determine the cultural requirements for different fruit crops. Develop a plan for the establishment of an orchard. Formulate appropriate methods for marketing specific fruit crops grown in your locality. Scope of Warm Fruit Growing -Review of main groups: Citrus, Berries, Nuts, Vines, Other fruits. Review of tropical fruit families:Anacardiaceae, Annonaceae, Apocynaceae, Bombaceae, Bursaraceae, Ebenaceae, Euphorbiaceae, Fabaceae, Flacourtiaceae, Guttiferae, Lauraceae, Lecythidaceae, Malpighiaceae, Meliaceae, Moraceae, Musaceae, Myrtaceae, Oxalidaceae, Palmae, Pasifloraceae, Proteaceae, Rhamnaceae,Rubiaceae,Rutaceae, Sapindaceae. 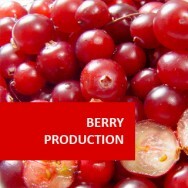 Compile a resource file of different sources of information regarding commercial fruit varieties. Compare the facilities used to produce six different fruit crops, in a specified locality. Determine criteria for selecting a fruit variety to grow as a commercial crop in your locality. 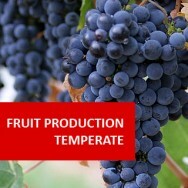 Select five different fruit varieties with commercial potential for a specified location. Analyse the physical layout of a specified orchard. Determine the scope of commercial fruit growing in a specified locality. Evaluate the different soils tested to determine their suitability for growing different fruit varieties. Determine the susceptibility of specified fruit species to pest and disease problems. Explain how to control different specified pests and diseases, on different fruit varieties grown. Develop sets of guidelines for pruning different types of fruits. Determine the factors which are critical to growing fruit trees in the your locality. 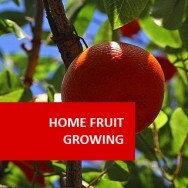 Determine criteria to select a site for fruit growing in your locality. Compare the physical layout of two different orchards you visit. Analyse different marketing systems in the fruit industry, including at local, national and international levels. 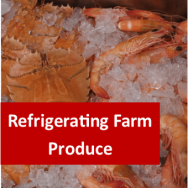 Explain common reasons for price fluctuations in the fruit industry. Evaluate the presentation and packaging of different fruits, for marketing through different marketing systems. Analyse different marketing strategies used by a specific fruit grower. 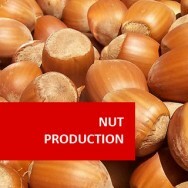 Promotions, for a specific fruit crop. Differentiate between the cultural practices undertaken by different growers, on the same crop, grown in two different localities. Determine the cultural practices necessary to grow different fruit crops for a twelve month period, on a specified site. Prepare a monthly calender, covering a twelve month period, for cultural practices in a fruit plantation or orchard you choose.